Two months ago my daughter and I went to Charlottesville, Virginia, and one afternoon, while browsing through the bookstore, heard the voice of a woman on a microphone talking about cookbooks. We walked towards the voice and discovered that 5 new cookbooks were being presented by their authors; so, naturally, we took a seat and opened our ears. All the authors were women, except one. 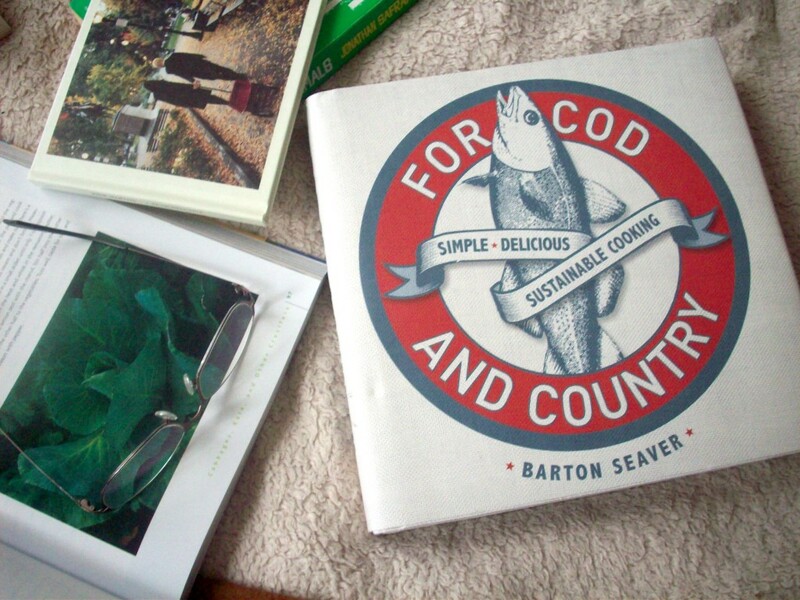 His name was Barton Seaver, author of For Cod and Country, a book about simple sustainable cooking. Barton gave us an inspiring lecture about food and cooking, and the importance of the quality of the ingredients we use and our relationship to them. The public (including us), fell in love with his charisma instantly. His speech was short because he was leaving that afternoon for an Arctic expedition with Nat Geo, so this modern Indiana Jones –very cool and handsome-, told us in just a few words about his own experience with sustainable ingredients, -with different types of fish in particular-, and how to cook them. The book was sold out. 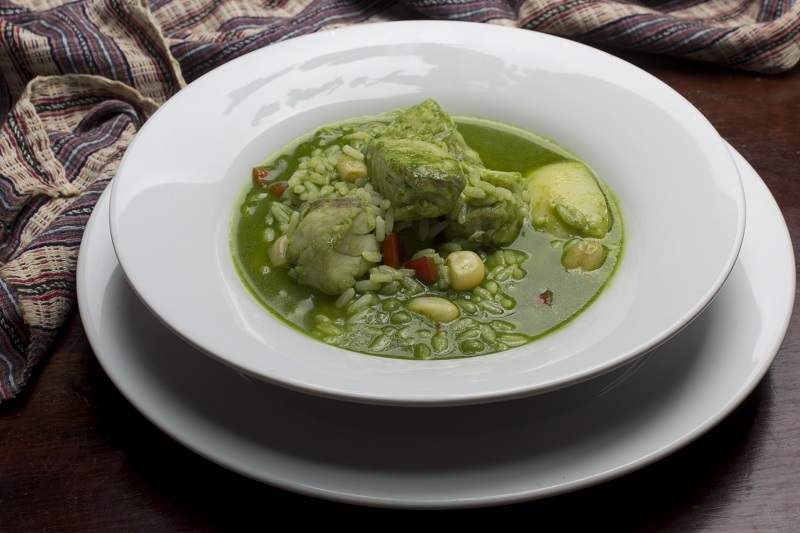 What does it have to do with Peruvian cooking? Nothing, really. But yesterday was Mother´s Day, and my daughter´s gift was this attractive book. 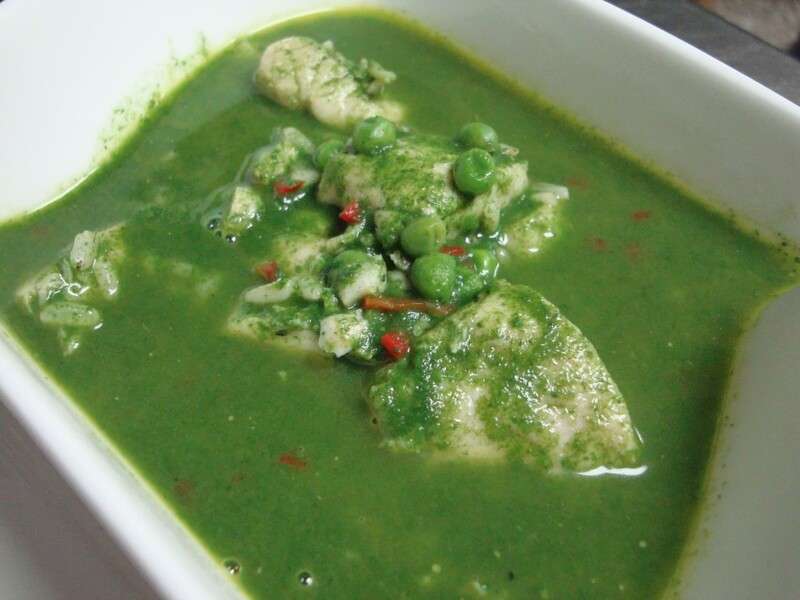 Looking at it again inspired me to cook a very healthy and tasty fish soup known as aguadito in Peru. 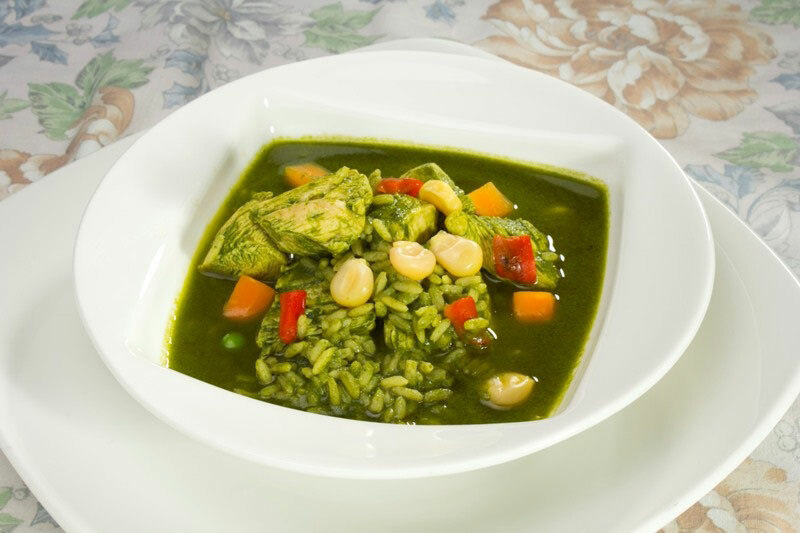 If you take a look at our recipe for arroz con pollo, you will notice many similarities, because aguadito is the “soup” version of arroz con pollo, and is usually made with chicken, but also with fish, or seafood. 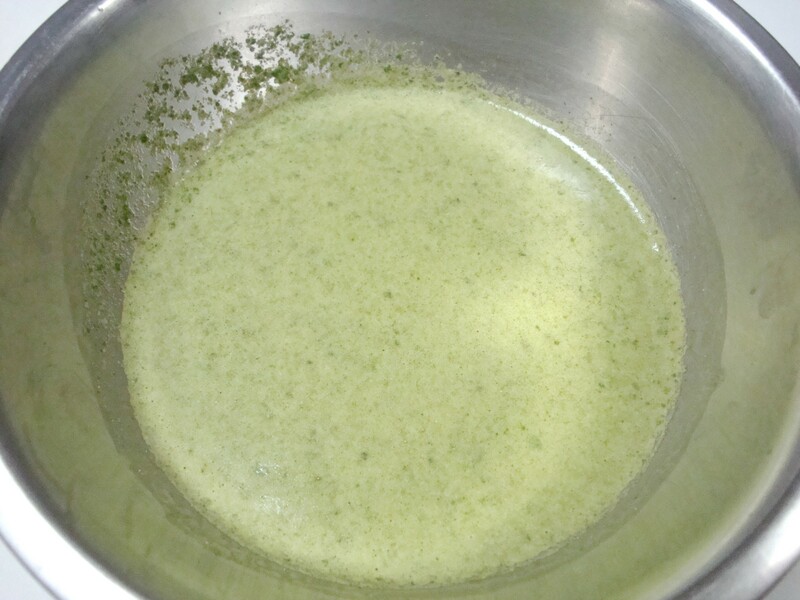 You can make the coriander paste in advance, and have it ready for whenever you make this dish, or something similar. This is perfect if you have a big bunch of fresh coriander and don´t know what to do with it. 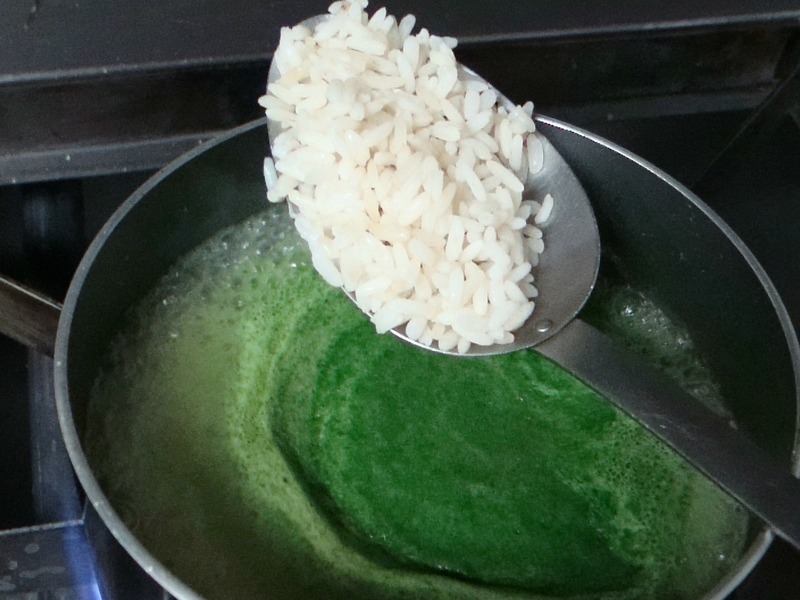 Just blend the coriander leaves with a little water and listo! 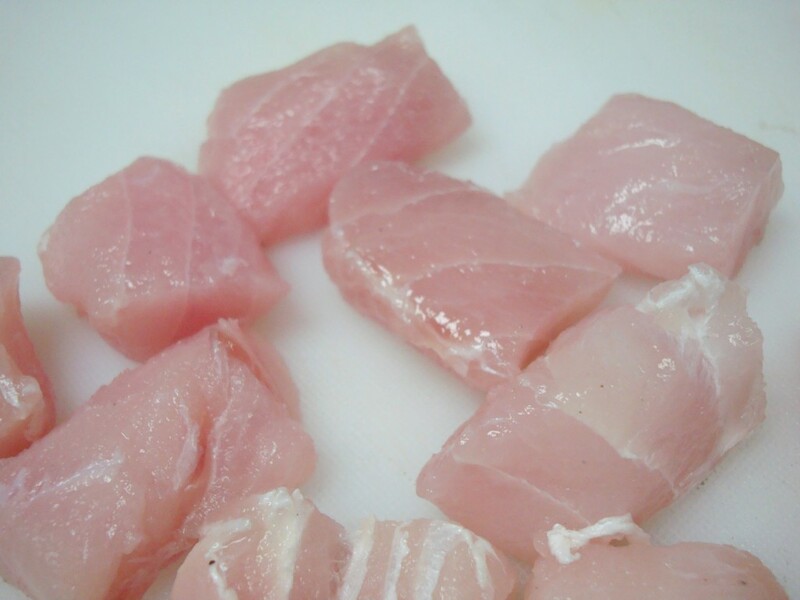 Freeze it in ice cube trays and use as needed. 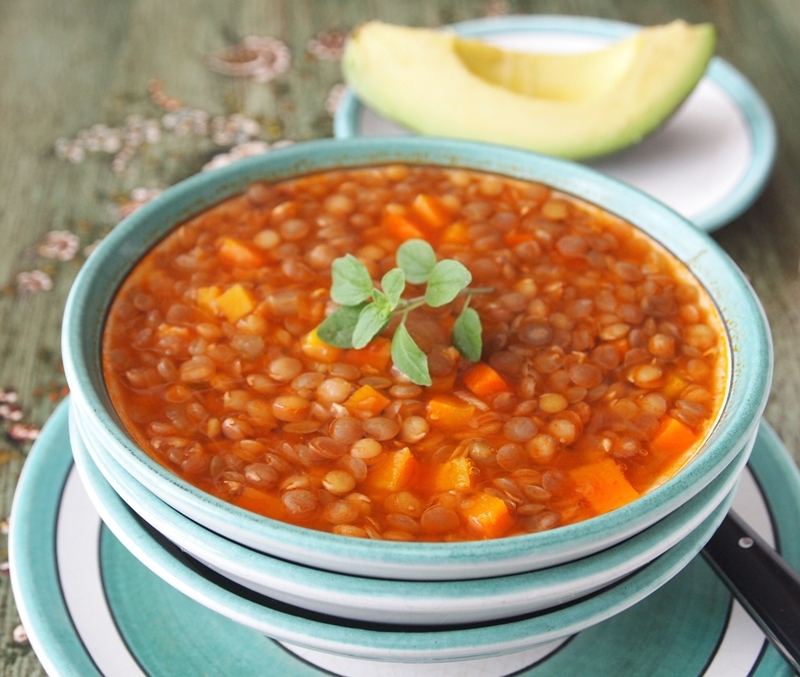 This sturdy dish makes me sleepy, so it´s perfect for this gray and rainy day. I will stay indoors, and enjoy all its benefits, while listening to my new Pink Martini album. In a heavy saucepan heat the vegetable oil over medium-high heat. Add onion and garlic, and cook, stirring, for 10 minutes. Do not let them color. Add aji amarillo paste and tomato, and cook 10 minutes longer. 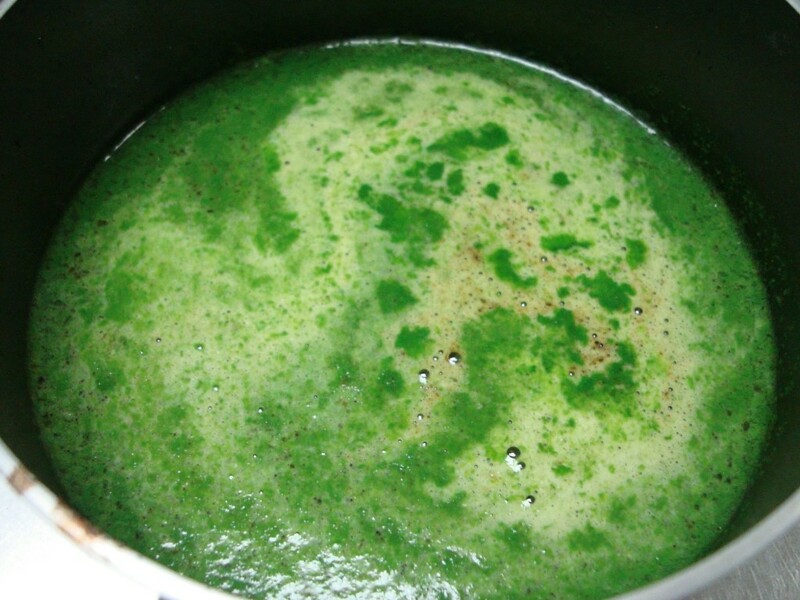 Incorporate the fish stock, coriander paste, bring to a boil and cook for a few minutes. 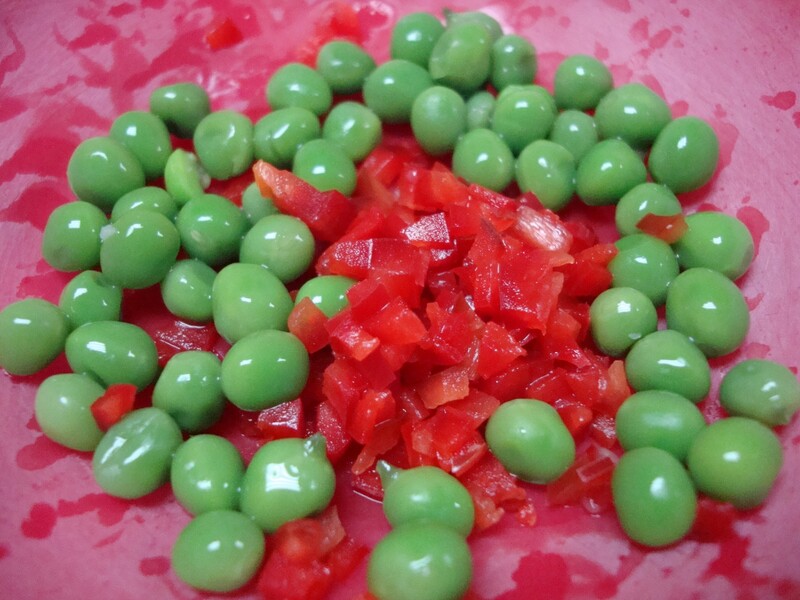 Add potatoes, rice, corn, red peppers, and green peas. Season with salt and pepper. Lower the heat and cook partially covered until the potatoes and rice are tender. 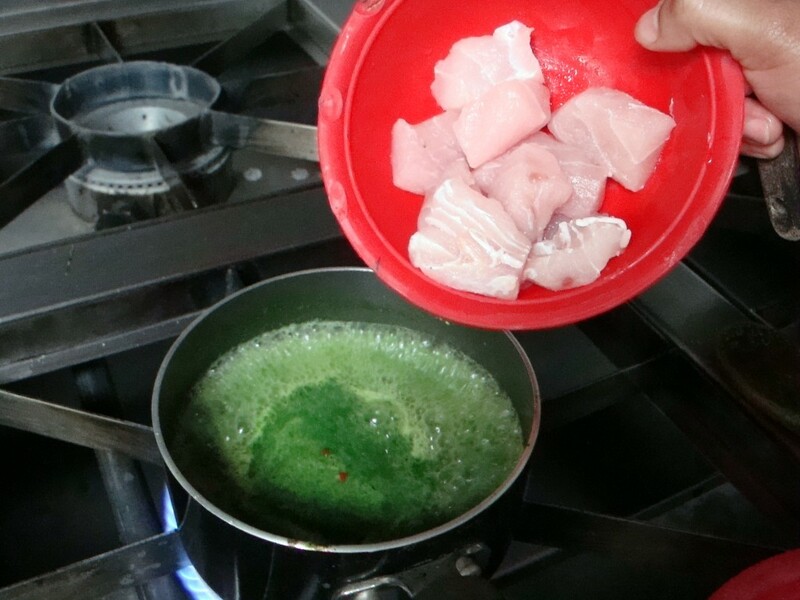 Finally add the fish, cook for 3 – 4 minutes or until the fish is cooked through. Turn off the heat and serve immediately. This is looking pretty amazing! On my “must cook” list. 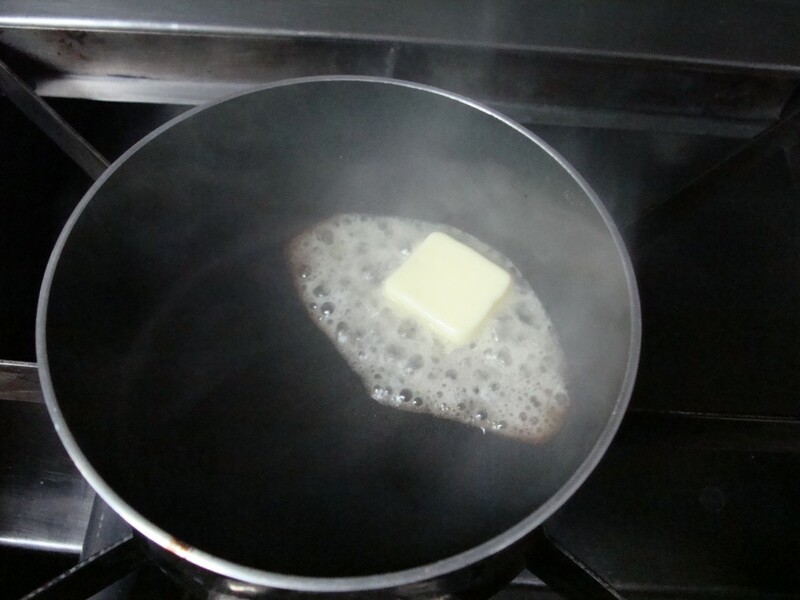 You ladies always have the best recipes. Thank you!